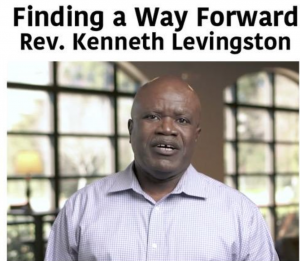 At the 2016 United Methodist General Conference, delegates voted to accept a proposal by the Council of Bishops to set up the “Commission on a Way Forward” to study how to deal with the conflicts within the church related to homosexuality. The Council of Bishops set up the Commission on a Way Forward, which did its work responsibly, proposing three plans. The Council of Bishops received the report and voted for one of those options, “The One Church Plan,” based on the current majority group within the Council. The Council then tried to severely limit other legislative proposals at General Conference to that one option. The Judicial Council ruled that the Council could not limit the proposals sent to the called General Conference. All three plans are coming before a special session of general conference in February in St. Louis. Now we are witnessing a high level of activity designed to sway the General Conference decision toward the “One Church Plan.” Bishops, progressive groups, and individuals are campaigning based on the recommendation of the One Church Plan by the Council of Bishops, voted in by the Council’s current controlling majority group. However, the representative make-up of the Council of Bishops makes their preference for the One Church Plan predictable. It is the preference of the majority group within the Council. The Council of Bishops has more bishops from liberal and declining areas than from traditionalist or growing areas, which shapes its decisions. To illustrate this point, for example, there are now more United Methodists in the Congo Central Conference (only one of three central conferences in Africa) than in the Western, North Central, and Northeastern jurisdictions combined. But these three liberal-leaning U.S. jurisdictions now have a total of 23 bishops, compared to four Congolese bishops. The combined membership of the Western, North Central, and Northeastern Jurisdictions is 2,615, 925. The membership of the Congo Central Conference is 2,999,242. There are 23 bishops on the Council representing the Western, North Central, and Northeastern jurisdiction. That is one bishop for every 113,735 members. 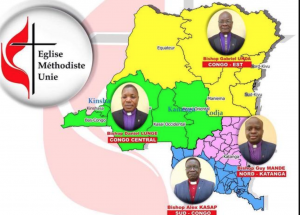 There are four bishops representing the Congo Central Conference. That is one bishop for every 749,811 members. Interestingly, when the Discipline was changed to establish the current formula for U.S. bishops (by a far more generous standard than that used for African bishops), the Southeastern Jurisdiction could have added another bishop but declined. The election of bishops is a very political process. The Northeastern, North Central, and Western Jurisdictions elect mostly liberal bishops, with a few exceptions. The Southeastern Jurisdiction and South Central Jurisdiction have elected an ideologically diverse group over the years. The result of all of this history of the deployment of bishops is that the Council of Bishops is an unrepresentative group dominated by older declining areas and therefore more liberal than the General Conference or the denomination as a whole. Given the preference of the Council of Bishops for the One Church Plan, a fair question would be this: if the Council of Bishops is to become this active in General Conference decisions, or if it is to become a planning body within the denomination, how should it best be constituted and organized for effectiveness? What representation should we expect within the Council of Bishops? Presently this is the way U.S. bishops are assigned: each U.S. jurisdiction may elect five bishops for the first 300,000 members and another bishop for each 300,000 additional members. In our present Council of Bishops, it is easy to see why liberal areas of the church dominate and why the Council recommended the “One Church Plan.” If there were 29 bishops in the SE and SC Jurisdictions, 34 bishops in Africa, and only 18 bishops in the North and West, wouldn’t the recommendation have been very different? Delegates to General Conference 2019 should consider the recommendation of the “One Church Plan” by the Council of Bishops from the perspective of the unrepresentative make-up of the Council. We respect our bishops and the office of the Episcopacy. We listen to them and honor their crucial work within the church. However, in recommending the One Church Plan the Council of Bishops is presenting the ideological representation of a majority group in the Council, not a vision of a way forward for the whole church. Rev. Robert Sparkman is an ordained United Methodist clergyperson in the North Alabama Annual Conference and the Senior Pastor of Latham United Methodist Church in Huntsville, Alabama. He has been a delegate to three General Conferences and a reserve to three. He was active with the group of church leaders that studied, proposed, and passed legislation to provide fairer representation of growing areas to General Conference and on boards and agencies. He was the convener and moderator of that group for eight years. A version of this article originally ran in the Juicy Ecumenism blog UM Voices and is reprinted by permission. I appreciate the opportunity of free speech here. And, I appreciate the opportunity of reading and learning from the insightful and informative free speech of others including, of course, Good News. Thank you. 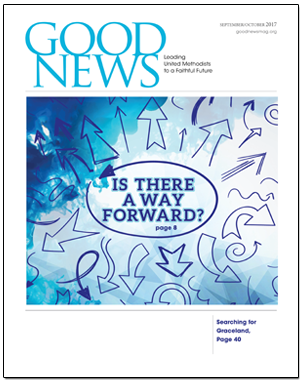 As for this issue of unfair representation, it seems to point out that if the February General Conference puts down this present schism and moves to restore order in the UMC, then that would be a big first step (as well as a crucial/survival step) to future General Conferences of bringing much needed reforms across the denomination, beginning in 2020. Presently, this current schism has the church in a straight jacket and way off its mission. Plus, if the ‘one’ church plan is adopted, the UMC would be abandoning its Christian mission, would be walking away from Wesleyan theology, would be leaving the Christian Church universal, would be moving in the direction of the Unitarian Universalist Association, and would be giving up any hope of future reform along Christian lines. If the OCP is implemented it will be a betrayal of generations of faithful Methodists. The UMC currently has assets left to it by many who have passed on. These assets were left in the confidence that they would be used to support Wesleyan theology. If the UMC can be taken over and restructured to resemble Unitarianism it will be a great injustice to those from the past who worked hard to build the UMC. The bottom line is: there is NOT equal representation on our Council of Bishops. Why aren’t the progressives screaming about this as a “justice” issue of white privilege and racism? Oh, yeah, because it runs contrary to their doctrine of the supremacy of sexuality over all other issues. Sad. I agree with the previous post that the 2020 GC should begin the process of addressing this justice issue of fair representation. It will (most likely) mean less Bishops in the U.S., and will also likely mean that they will have to accept lower salaries and benefits (expense accounts) so that we can begin funding more Bishops in our growing, yet less financially well-to-do conferences. I also believe it is time to end the “Bishop for life” appointment. Make the Bishop appointments like the District Superintendent and other conference staff: after a six year term (or two at most for Bishops), they go back to being Elders. Period. The culture is changing; people are suspicious of leaders and institutions. This is why Trump was elected (he was an outsider, not a “good ol’ boy”), and I believe he is just the tip of the iceberg when it comes to changes in how we define, select/elect, and follow our leaders. Hopefully we will move back to a more biblical approach to leadership and church government. The OCP will NOT allow conferences, local churches and pastors to follow their conscience for long. Wow! I had no idea the African Methodists were so large and yet so under-represented. No wonder the UMC is going down a liberal path so quickly! I wonder if this travesty will be corrected, or if it is too late. Time will tell.